I finally feel that I’ve settled into this pregnancy now. 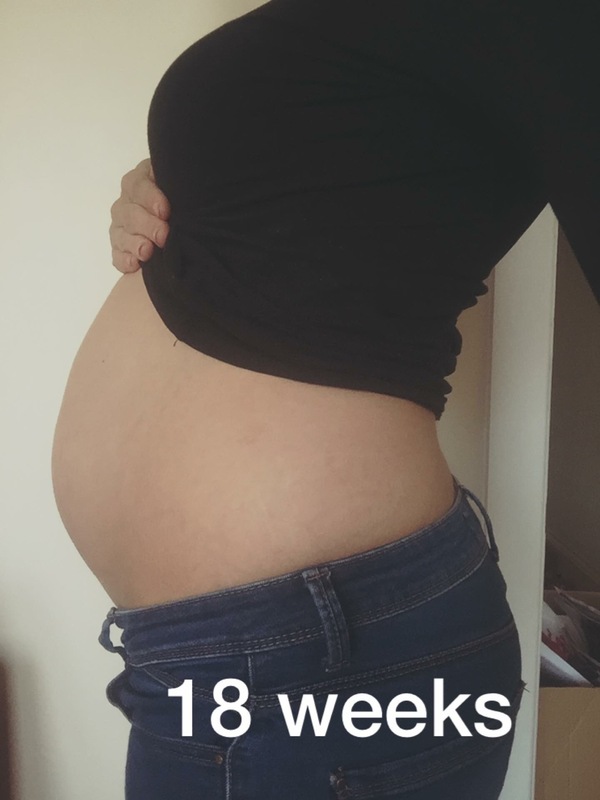 Although I’m the size of a small whale now (hopefully just because it’s my third baby and not because they’ve missed a twin or I’m growing a baby the size of a toddler), I feel better than I have so far. I have a proper rounded bump, which helps people understand I am pregnant and not just eating all the pies lately. I’ve booked myself onto a birth preparation class for tomorrow night, which I think will be great not just for me but for Ed as well as he hasn’t been through any of this before and doesn’t really know what to expect. I’ve had to unearth my birthing ball, which was residing over my friend’s house since her pregnancy 2 years ago, so I’m hoping it will inflate ok.
I’ve also started going to an antenatal yoga class at my gym as well and I’m finding it really useful to help me relax when things all get a bit too stressful (especially this week- soon stressful!). I did manage to fall asleep in class tonight though, perhaps there’s such a thing as too relaxed! According to pregnancy websites and books, the baby is now around 15cm and fully formed, all its got left to do is fatten up and keep growing. As we near the middway mark I can see the end in sight, I mean it’s more of a dot on the horizon right now but I can still see it shimmering out there with a little baby to cuddle and make the pregnancy worthwhile.